As history records, everything possible has been done to “prejudice the civil and religious rights of non-Jewish communities” in Palestine, namely Palestinian non-Jewish Arabs, Christian and Muslim, who stand today without the right of self-determination in their own shrinking homeland, their material dispossession an ongoing Israeli project today. it is contemplated that the status of all citizens of Palestine in the eyes of the law shall be Palestinian, and it has never been intended that they, or any section of them, should possess any other juridical status. In Madison Square Garden, twenty-five thousand people – with another twenty-five thousand outside – heard a roster of famous Jews, Zionist and non-Zionist, pillory the British Government. 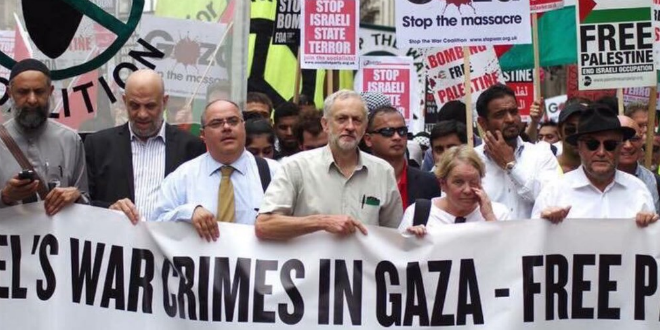 The Zionist forces that have succeeded in forcing both parties in the British government to adopt a definition of anti-Semitism that equates anti-Zionism with anti-Semitism are the same forces that influenced the British government to acquiesce to the dismemberment of Palestine, a Nakba from which we continue to suffer. As a Palestinian, I categorically reject both campaigns within the British government, the first to dispossess me, and the second to define as “anti-Semitism” my inalienable right to resist the Jewish state in Palestine that has colonized and usurped my homeland by force. The issue of the International Holocaust Remembrance Alliance (IHRA) definition of “antisemitism” revolves around whether that definition is in part racist itself, as the IHRA includes five points specifically focused on Israel that, in essence, equate anti-Semitism with anti-Zionism. Many in the media take it for granted that the majority of Jews worldwide identify with Israel, a settler-colonial state in Palestine that is the bitter fruit of the Jewish Zionist movement. Thus, whenever there is an issue having to do with Israel, you see many references in the media to the opinions and reactions of the “Jewish community” or “Jews” in the aggregate. Other articles, such as the Financial Times report (Labour’s Emily Thornberry endorses IHRA definition of anti-Semitism by Henry Mance and Jim Pickard in London, September 2, 2018), or the JP post “Outcry by UK Jewry as Labour adopts controversial antisemitism guidelines”, refer to the reaction of “UK Jewry” in the headline or in the body of the report. Indeed, whenever Western governments talk about Israel in terms of protecting it, they mean they are protecting Jews from Palestinian Arabs and other “Arabs” generically. They mean they are protecting Israel’s “right” to exist as an exclusivist, apartheid Jewish state in Palestine. They mean they are protecting Israel from Palestinian refugees demanding return to their homeland. 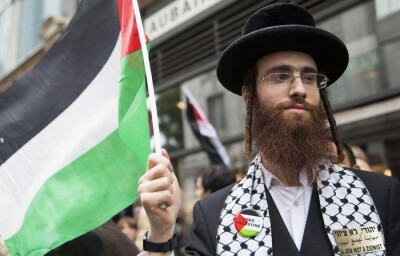 The world gets the equation that Jews/Judaism/Zionism = Israel, not simply from Israel itself and its co-option of the Holocaust, or from Western governments and their guilt over the anti-Semitism they themselves historically spawned, but also from Zionist thought, which is Jewish nationalist thought, history and culture. While we strongly support Israel, our programs focus only on what our mission designates, and what we have offered has been regarded as at the highest intellectual level… The Foundation does not support Professor Diner’s personal political statements, but we support free speech and civil discourse. Squelching free speech rather than racist practices in Israel is what’s unacceptable in the statement of the FJS Board above, as it is often in discussions of BDS speech or attacks on IHRA. Under the IHRA definition – in which no less than 5 of the points are specifically focused on Israel – it is “antisemitic,” for example, to draw “comparisons of contemporary Israeli policy to that of the Nazis.” Thus, while it is clearly acceptable to compare Hamas to the Nazis (as Israeli Prime Minister Netanyahu has done), Iran to the Nazis (as Netanyahu has also done) and BDS activists to the Nazis (as Israeli Education Minister Naftali Bennett has done), it is apparently racist to do so in the specific case of Israel. Presumably this extends to very specific and factually-grounded comparisons, such as the counting of calories going into Gaza to the counting of calories in concentration camps by the Nazis, or the Nazi policy of “concentrating” Jews into ghettos (and later into camps) with the Israel policy of concentrating Palestinians into sealed Gaza and West Bank towns that are encircled by a tightening matrix of walls, settlements, outposts, bypass roads, closed military zones and checkpoints, or the use of the “Dahiya Doctrine” in the Shujjaiya and Rafah neighborhoods of Gaza in 2014 to the collective punishments used by the Nazis in retaliation for Resistance attacks. Are such comparisons really more unacceptable than the practices that elicit them? These Jewish voices support “legitimate critiques of unjust Israeli policies” but still cannot decry and reject as unjust (i.e., delegitimize) the very existence of Israel as such. But the Palestinian “Struggle for freedom, justice and equality” is, in fact, a struggle for decolonization. For us, it’s the existence of Israel, not simply its policies, that must be decried. There are, of course, Jews who have always opposed the existence of Israel on religious grounds. And, at the beginning, there were also Jews in Israel who opposed it. In the UK when the Balfour Declaration was being cooked up, there were dissenting Jewish voices that got lost. Today, anti-IHRA Jews in the U.K. have been swept away, once again, by the Zionist juggernaut. There is no parallel to this on earth, no other political entity’s claim of ownership over people by virtue of their ethnicity. Any such claim would be universally condemned as outrageous, as abusive, and at best, laughable. But Zionism has conditioned us to believe one of the most repugnant of classic anti-Semitic tropes, that of Jews as a tribe, a ‘race’ apart, somehow distinct from the rest of humanity, and placed a pariah state in the Middle East as the tribal leader. Note: Much of the above was first published on Quora as answers to two questions.